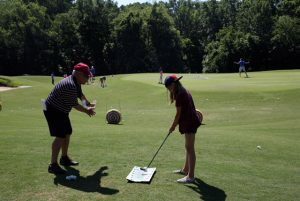 Written by our smarty friends at the First Tee of Greater Charlotte. How do you narrow down and choose from so many different opportunities for your child to be involved with sports and activities in the community? What makes one stand out from the other? The activity options for children are endless. So you could ask, who helps make this possible alongside all of these organizations. Here at The First Tee of Greater Charlotte, our volunteers make this possible! Our volunteers play a huge part in our ability to reach young people in our community through many different programs including weekly Life Skills Experience classes and The First Tee National School Program. The Nine Core Values are the firm foundation of our organization and are instilled in our programs with all age levels. Coach Mike goes to explain what The Nine Core Values mean to him. “The Core Values are a big part of life, not only for the young but for all of us as we go through life. At The First Tee we not only teach golf but we set in motion the opportunity for our young golfers to become better family members, better students, leaders in the community and hopefully, one day, be able to give back to the community. Like we say here at The First Tee: “Good Golfers. Better People”. The opportunity to be a volunteer like Coach Mike is also open to the youth in our program and community. After being a participant in The First Tee program for a few years, Grace Kehoe jumped at the opportunity to become a youth volunteer. When we asked her what her favorite part about being a youth participant volunteer was Grace said, “I love everything about volunteering at The First Tee, but one of my favorite aspects of being a volunteer is seeing the participants grow into stronger golfers, people, and leaders throughout their time spent learning the curriculum taught at The First Tee. It is truly incredible to see participants thrive within the program.” Speaking of thriving, Grace is doing just that! Over the past 6 years in the program she has benefited from both national and local opportunities that are available to program participants. Grace will be heading to The PURE Insurance Championship Impacting The First Tee, at Pebble Beach, September 24-30. Grace Kehoe is our chapters 5th participant and 1st female participant to be selected for this incredible event. 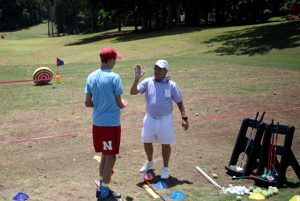 Kehoe, alongside 80 other participants from The First Tee chapters, was selected by a national panel of judges based on playing ability and application of the Nine Core Values and life skills learned through their involvement with The First Tee’s programs. 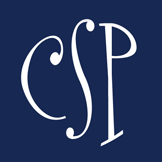 The PURE Insurance Championship is an incredibly unique event, in which 81 golfers are teamed up with 81 PGA TOUR Champions players and 162 amateurs during an official PGA TOUR Champions tournament. This event will be televised internationally on The Golf Channel September 28-30. The First Tee of Greater Charlotte couldn’t serve our community without the help of volunteers like Mike and Grace. We are so greatly for our volunteers and the time and energy they put into being a part of our program. 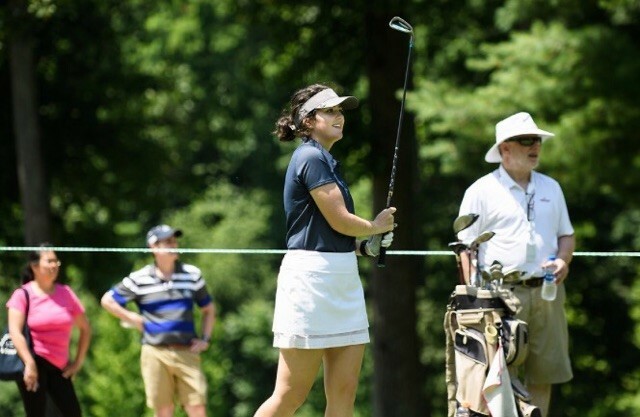 Be sure to tune in September 28-30 to The Golf Channel to watch as Grace Kehoe participates in the PURE Insurance Championship Impacting The First Tee. If you too would like to make a difference like Mike and Grace please go check out our website for more information. No golf experience is required to volunteer with our program. A tremendous thank you to our volunteers and your dedication to our mission to positively impact the lives of youth through the wonderful game of golf! FANovich Hurricane Relief Shirts are HERE!